Like its predecessor the Canon Digital IXUS 95 IS can best be summed up as an undemanding snapper for the unpretentious photographer. Again the sturdiness of its build quality is very impressive, as is speed of operation, design, and overall ease of use. There's no media card bundled with the camera this time, but since SD or SDHC cards can now be found in your local supermarket it's hardly a deal breaker. We can't even nit pick this time about the levels of noise apparent in the mid to high ISO range. The IXUS 95 IS acquits itself in this area better than many of its competitors and indeed appears improved on its forebear. Shame its colours are slightly drab when the camera is left on its default settings, but as we've noted, by switching to Program mode and selecting the 'Vivid' colour option, such grumbles are silenced. 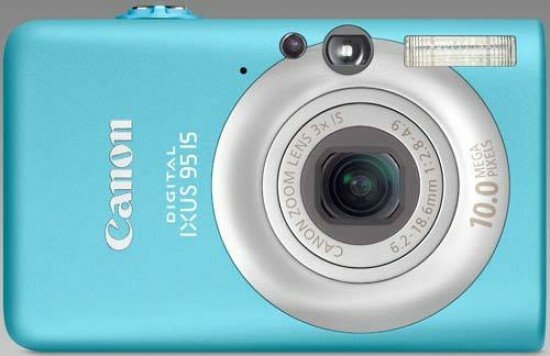 In many others respects the Canon Digital IXUS 95 IS seems almost a carbon copy of the earlier IXUS 80 IS, so if you can find a good deal on that earlier model, go for it. If on the other hand you're truly looking for the most portable compact around, can I recommend also the IXUS 100 IS for its inoffensive loveliness, HD movies and HDMI out connectivity at just £50 more. It's also a recent recipient of a Photography Blog Recommended award.